Our flexible call systems enable you to share those responsibilities with your colleagues and still have time for personal studies and activities. Our residency program faculty and community physicians supervise your work. Our curriculum complies with the Family Medicine residency training requirements specified by the Residency Review Committee of the Accreditation Council for Graduate Medical Education (ACGME). 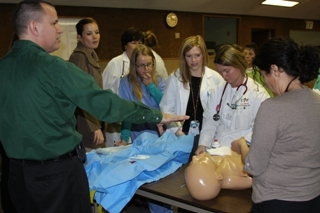 The University of Wyoming Family Medicine Residency Program at Cheyenne is fully accredited.